230mm in diameter. 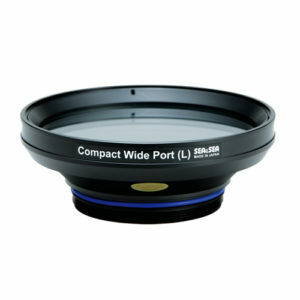 Versatile optical dome port, compatible with various fisheye and wide-angle lenses. Boasts the best image quality, including peripheral image quality. Suitable for half-underwater-half-topside images. 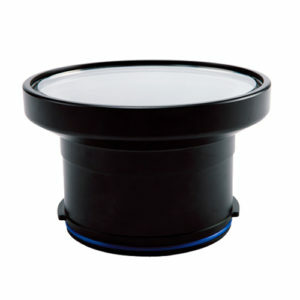 Peripheral image quality will be even better when used with an Internal Correction Lens. ・Uses high quality BK7 crystal glass. ・Two different anti-reflective coatings are employed to optimize image quality, one for the exterior and the other for the interior of the Optical Domes. 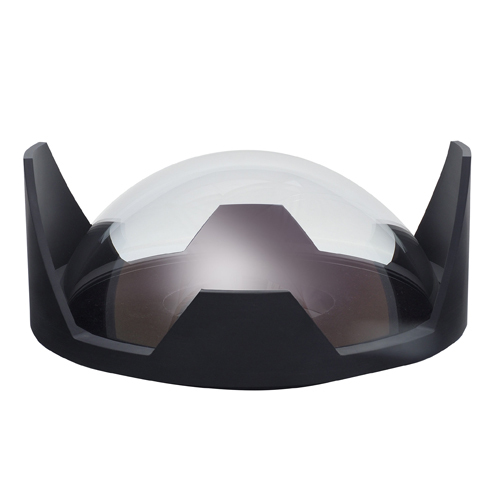 A multi-layer coating is used on the dome exteriors and the interior of the domes are coated with silicon-dioxide to effectively suppress flare and ghosting. As a result, the refractive index of each port is reduced to less than 0.01% and the domes produce extremely high-contrast images. 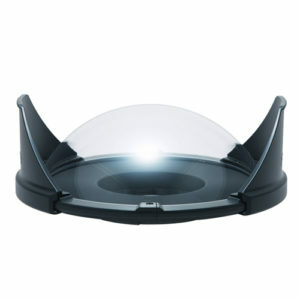 Difference in image quality between the Fisheye Dome Port 240 and the Optical Dome Port ll 165 under backlit conditions.